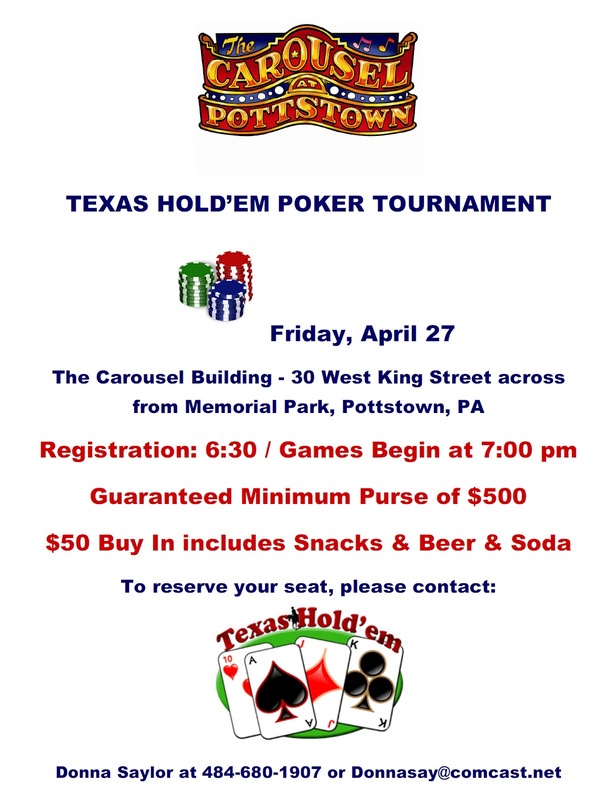 See the details below for a Texas Hold ‘Em tournament that’s taking place TONIGHT at The Carousel at Pottstown. And click here for Evan Brandt’s blog post about it. Oh… and click here if you want to hear Kenny Rogers sing about knowing when to hold ’em and knowing when to fold ’em!